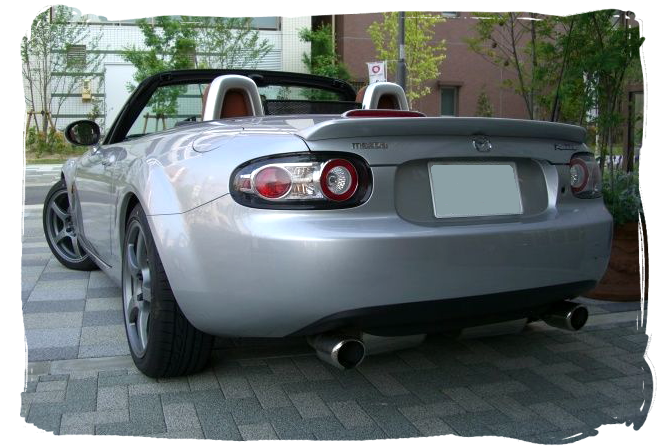 Here's another Roadster from Aichi, Japan. This one is a little different to most being the top VS grade, this spec came with a dark tan coloured interior and leather seats as standard. 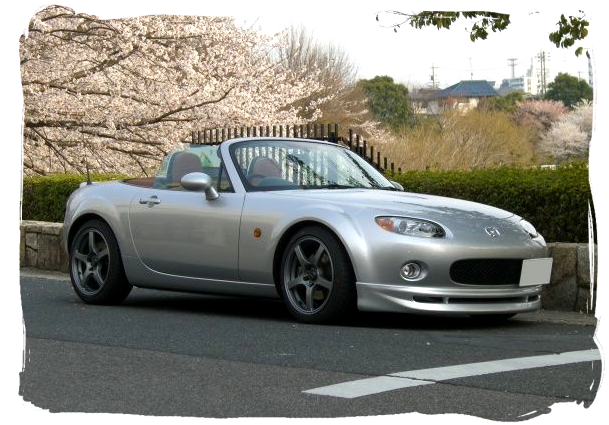 Silver and tan is an unusual colour combination that you don't see too often on an MX-5. Quick's car also features some nice aftermarket additions to help it stand out even more. The exterior benefits from front and rear colour coded spoilers by Au-To Bahn Sports. 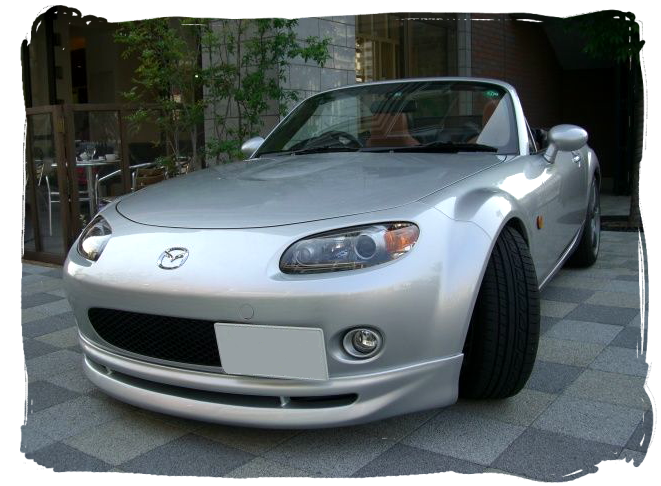 The front lip spoiler has a nicely curved design that makes the car look lower to the ground, the rear lip has a subtle ducktail-type design that really suits the car. A set of 17" 7.5J GC-05F Prodrive forged alloy wheels have been fitted and together with the Tein Super Street suspension give the car a smart look. The front numberplate has been relocated using a bracket kit from Sheonme, this helps to show off the Roadster's front end curves. Performance parts include a SARD sports manifold with a high-flow cat and de-cat centre pipe, combined with an HKS Legamax Premium muffler. Induction is taken care of with an AutoExe airbox in their signature bright red and K&N filter. The car also has a Blitz electronic throttle controller, this can adjust the throttle pedal sensitivity for different modes of driving such as economy or sport at the touch of a button. The car's interior features a smart Nardi Classic steering wheel attached to a Works Bell boss and Artworks Dewa instrument trim for a premium look. 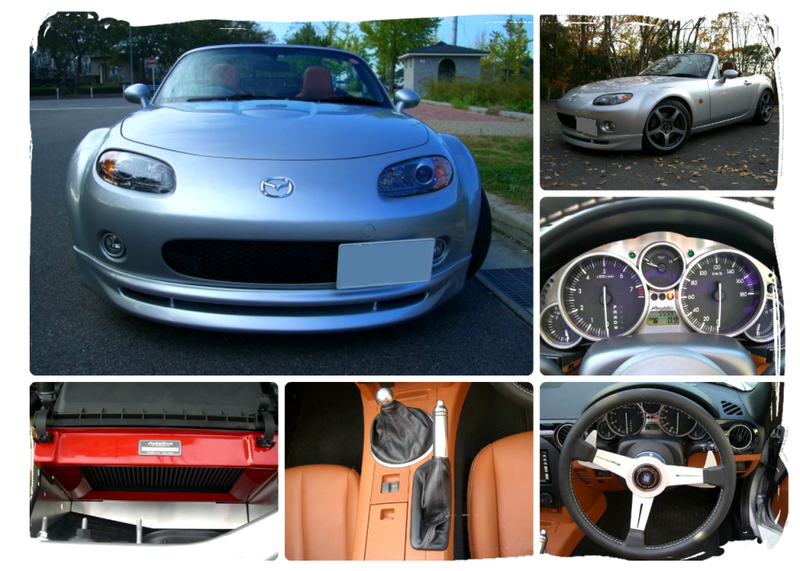 There are also matte black painted roll bar covers, and a gearknob and handbrake lever from Zoom Engineering.